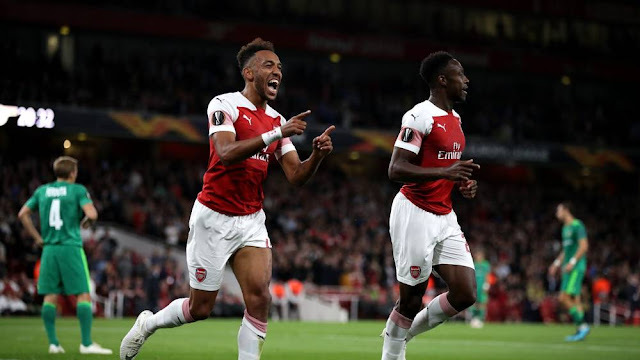 Emerick-Aubameyang has insisted Arsenal needs to improve more despite their win against Vorskla on Thursday. Yesterday win against Vorskla makes it four-match winning run in all competition for Arsenal and Aubameyang has revealed they need to continue doing their best and improve more in other not to concede more goals. Unai Emery featured a very strong side against Vorskla on Thursday and it pays off with Aubameyang, Danny Welbeck and Mesut Ozil all on the score sheet. However, Aubameyang was concerned about the team's defense as they conceded two goals later in the game. Arsenal next game is on Sunday at home against Everton.